Could an announcement be forthcoming at E3 2013? 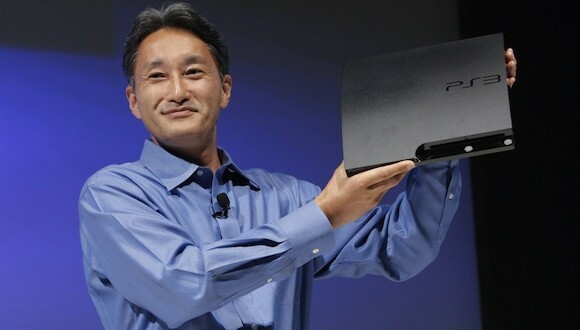 Sony President and CEO Kaz Hirai is a cool dude. He’s part of one of the biggest technology and gaming giants in the world, and yet he hasn’t freaked or lost his mind (yet). So you kind of feel bad that he has to weather queries about the next Playstation, this time the PS4, even when he’s on stage at CES 2013 with Sony Electronics President and COO Phil Molyneux demonstrating what’s up and coming in the field of TVs and mobile phones. And what could be bigger than announcing the same at this year’s E3? At the very least, an announcement following a release later next year seems about right. With Microsoft already hyping “A New Xbox” with their countdown timer, the hype is already on for this year’s expo.